1. 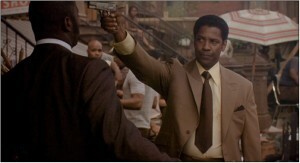 American Gangster (2007) – Denzel Washington and Russell Crowe starred in this biopic about former Harlem drug kingpin, Frank Lucas and Richie Roberts, the Newark police detective who finally caught him. Ridley Scott directed this energetic tale. 2. 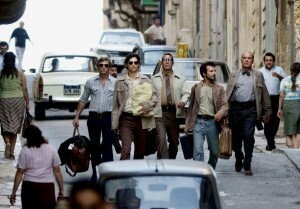 Munich (2005) – Steven Spielberg directed this tense drama about Israel’s retaliation against the men who committed the Munich massacre at the 1972 Summer Olympics. Eric Bana, Daniel Craig and Ciarán Hinds starred. 3. Rush (2013) – Ron Howard directed this account of the sports rivalry between James Hunt and Niki Lauda during the 1976 Formula One auto racing season. Chris Hemsworth and Daniel Brühl starred. 4. Casino (1995) – Martin Scorsese directed this crime drama about rise and downfall of a gambler and enforcer sent West to run a Mob-owned Las Vegas casino. 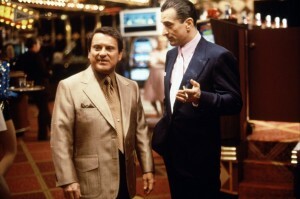 Robert De Niro, Joe Pesci and Sharon Stone starred. 5. Super 8 (2011) – J.J. Abrams directed this science-fiction thriller about a group of young teens who stumble across a dangerous presence in their town, after witnessing a train accident, while shooting their own 8mm film. Joel Courtney, Elle Fanning and Kyle Chandler starred. 6. 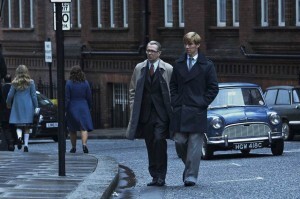 Tinker, Tailor, Soldier, Spy (2011) – Gary Oldman starred as George Smiley in this recent adaptation of John le Carré’s 1974 novel about the hunt for a Soviet mole in MI-6. Tomas Alfredson directed. 7. 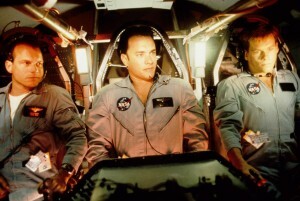 Apollo 13(1995) – Ron Howard directed this dramatic account about the failed Apollo 13 mission in April 1970. 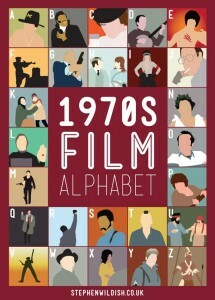 Tom Hanks, Bill Paxton and Kevin Bacon starred. 8. Nixon (1995) – Oliver Stone directed this biopic about President Richard M. Nixon. 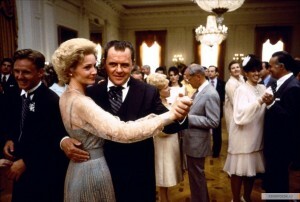 The movie starred Anthony Hopkins and Joan Allen. 9. Starsky and Hutch (2004) – Ben Stiller and Owen Wilson starred in this comedic movie adaptation of the 70s television series about two street cops hunting down a drug kingpin. Directed by Todd Phillips, the movie also starred Vince Vaughn, Jason Bateman and Snoop Dogg. 10. 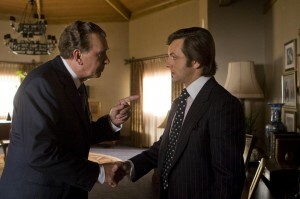 Frost/Nixon (2008) – Ron Howard directed this adaptation of the stage play about David Frost’s interviews with former President Richard Nixon in 1977. Frank Langella and Michael Sheen starred. When I first saw the trailer for J.J. Abrams’ new movie, “SUPER 8”, I had a very difficult time generating any interest in the film. I would have easily ignored it if it were not for the fact that two or three of my favorite actors were featured in the film and that it was produced by Steven Spielberg. My feelings toward J.J. Abrams’ previous work are rather mixed. Yes, I realize that he was one of the creators of such television series as “ALIAS” and “LOST”. But Abrams ended up distancing himself from both shows before they eventually suffered from a decline in writing quality. I enjoyed his work on “MISSION: IMPOSSIBLE III”. But his “STAR TREK” reboot left me wondering about his talent as a writer and director. But after watching “SUPER 8” this summer, my faith in his talent has been fully restored. Set in 1979, “SUPER 8” told the story of a group of young friends in their early teens filming their own Super 8 movie for a film festival for amateurs, when a train derails, releasing a dangerous presence into their town of Lillian, Ohio. The story began 13 year-old Joe Lamb dealing with the death of his mother in a factory accident. A neighbor named Louis Dainard appears at the wake, but Joe’s father a deputy sheriff named Jackson Lamb, leads him away in handcuffs. 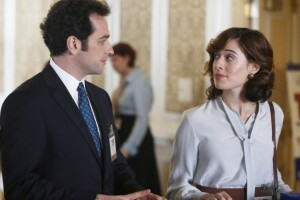 Jackson blames Louis for his wife’s death because he was absent during his shift and she had to fill in for him. Four months later, Joe’s friend, Charles Kaznyk, makes plans to film a zombie movie on Super 8 mm film for an amateur film festival. Along with Joe, he hires Dainard’s daughter Alice to be part of the cast. After stealing her father’s car, Alice takes Joe, Charles, Preston, Martin, and Cary to an old train depot; where the group plans to film a scene. During the shoot, Joe watches a pick-up truck drive onto the tracks and place itself in the path of an oncoming train, causing a massive derailment. In the aftermath of the accident, the kids find the wreck littered with strange white cubes. They approach the truck and discover Dr. Woodward, their biology teacher, behind the wheel of the truck. He instructs them to never talk about what they saw; otherwise they and their parents will be killed. Moments afterwards, the U.S. Air Force, led by one Colonel Nelec, arrives to secure the crash site. The kids flee the scene. Over the next couple of days, a number of strange phenomena occur throughout the Lillian neighborhood. A good number of the town’s dogs run away. And kitchen appliances, car engines, and power lines vanish. Also, many people begin to disappear, among them the town’s sheriff. Joe, Alice and their friends start investigating the strange phenomenons around Lillian, as they continue to shoot Charles’ movie. Not only has “SUPER 8” restored my faith in J.J. Abrams as a Hollywood talent, I believe it is one of the best movies I have seen this year. I really enjoyed. Abrams created a story that not featured mysterious happenings and an alien, but it also had plenty of human drama centering around Joe’s relationships with his recently widowed father and Alice Dainard; along with a delightful story arc featuring the group of friends’ attempt to film a movie. The interesting thing about “SUPER 8” is that all of the different story arcs in the movie – the personal dramas, the mystery surrounding the alien and Charles’ zombie movie – managed to connect seamlessly to form a first-rate movie. But more importantly, “SUPER 8” brought me back to the days of my childhood of the late 1970s – a time when many of my generation were first becoming fans of filmmakers like Spielberg and George Lucas. Not only does “SUPER 8” has a first-rate story written by Abrams, it also featured a superb cast. I was surprised to discover that“SUPER 8” featured 15 year-old Joel Courtney’s film debut. Either Abrams has a talent for working with children, Courtney is a natural born film actor . . . or both. All I know is that his performance really knocked my socks off. I was especially impressed that he managed to hold his own with the likes of Kyle Chandler, who portrayed his father. Allie Fanning, who has more experience than Courtney, proved that acting talent obviously ran in her family (she is Dakota Fanning’s younger sister). She was very impressive as Alice Dainard, the daughter of the very man whom Joel’s dad hold responsible for his wife’s death. There were two scenes that really impressed me – her confession to Joe about the circumstances that led to his mother’s death; and her confrontation with her drunken father. I have been fans of both Kyle Chandler and Ron Eldard for a very long time. Chandler, who seemed to have a natural talent for portraying complex characters, displayed this talent again in his portrayal of Jackson Lamb, the deputy sheriff who finds himself as the leading law enforcement official following the disappearance of the sheriff. Chandler not only portrayed Jackson’s growing concern over the town’s strange incidents and disappearances with his usual skill, but also conveyed his character’s difficulties in dealing with the death of his wife and growing estrangement from his son. Eldard’s portrayal of Alice’s father, Louis Dainard, proved to be equally complex. He did an excellent job of conveying the character’s alcoholism, guilt over the death of Joe’s mother and his growing estrangement from daughter Alice. He and Fanning were absolutely superb in the scene that featured the explosive confrontation between father and daughter. “SUPER 8” also featured first-rate supporting performances from another favorite of mine, Glynn Turman, who portrayed the kids’ biology teacher and the man responsible for releasing the alien from the U.S. Air Force train; and Noah Emmerich, who portrayed the controlling U.S. Air Force colonel, Nelec. But the best performances came from the group of kids who portrayed Joe and Alice’s friends and fellow film fans – Riley Griffiths, Ryan Lee, Gabriel Basso and Remy Thorne. They were absolutely terrific. And more importantly, their performances were not tainted with any “cutesy” quirks that have made some previous child actors rather unbearable. Nor did they act like adults in children’s bodies – a phenomenon of which I have become increasingly intolerant. The look of “SUPER 8” really brought back memories of past Spielberg films such as “CLOSE ENCOUNTERS OF THE THIRD KIND” and “E.T.”. And considering that the movie is produced by Spielberg, I hardly find that surprising. A small part of me suspects that “SUPER 8” is a homage to those particular works. Many critics and moviegoers have compared it to Spielberg’s films. The odd thing is that the storyline for “SUPER 8” reminded me more of the “STAR TREK VOYAGER” episode called (4.16) “Prey”. Although not alike, the storyline for both the movie and the television episode struck me as surprisingly similar. Whatever people might say about “SUPER 8”, there is no doubt that I really enjoyed it. And once it leaves the movie theaters, I will have a hard time generating the patience to wait for its DVD release. Congratulations, Mr. Abrams. For once, you have really impressed me. Directed by Gregory Hoblit and written by Toby Emmerich, ”FREQUENCY” is an entertaining and intriguing time travel story about a New York City firefighter in 1969, who is able to communicate with his adult son in 1999, via a short wave radio. The movie starred Dennis Quaid, Jim Cavielzel, Elizabeth Mitchell, Andre Braugher, screenwriter Emmerich and Shawn Doyle. A rare atmospheric phenomenon – the Aurora Borealis – allows a New York City firefighter named Frank Sullivan (Quaid) to communicate with his police detective son, John Sullivan (Cavielzel) 30 years in the future via short-wave radio. John uses this opportunity to warn Frank of his impending death in a warehouse fire, and manages to save the latter’s life. However, what he does not realize is that changing history has triggered a new set of tragic events, including the murder of his mother, Julia Sullivan (Mitchell). Father and son must now work together, 30 years apart, to find the murderer (Doyle) before he strikes so that they can change history – again. Many have compared the plotlines of ”FREQUENCY” to the 1985 classic, ”BACK TO THE FUTURE”. I never understood why, since many time travel stories have dealt with different generations within a family interacting with each other – including two episodes of the television fantasy, ”CHARMED”. What made ”FREQUENCY” unique . . . at least for me is that neither of the two major characters actually travel through time – whether through the use of magic or a time machine. In fact, not one character does. The two major characters communicate with each other via a short wave radio and the atmospheric phenomenon, the Aurora Borealis. Frank and John Sullivan manage to change time . . . without leaving their respective time period. I have to admit that this was very clever of screenwriter Emmerich. Another reason why I find the comparisons between ”FREQUENCY” and ”BACK TO THE FUTURE” hard to buy is the fact that ”FREQUENCY” is not only a time travel story, but also a thriller. In another clever plot twist, there is a serial killer loose called the Nightingale” murdering nurses in 1969. The case is re-opened by John and his partner/mentor, an old friend of his father named Satch DeLeon (Braugher), when an old corpse is discovered. As it turned out, the Nightingale killings had stopped after three victims, following Frank’s death in a warehouse fire. But when John warns his father of his impending death, Frank manages to save his life and that of a teenage girl. And his wife Julia, who is a nurse, is at the hospital to save the life of the killer, a cop named Jack Shephard. An act that leads to her violent death at his hands – and the deaths of six other nurses. Realizing the consequences of their actions, Frank and John race to save Julia’s life and the lives of Shephard’s other victims – and expose the cop as a serial murderer. I must say that I ended up being very impressed by Emmerich’s script. He wrote an emotional and suspenseful story filled with family drama, fantasy and suspense. He took an original approach to time travel by having the two main characters travel through time via an object – namely a shorthand radio – without actually leaving their respective periods in time. The only misstep in Emmerich’s script occurred near the end in which featured Shepard’s attempt to kill members of the Sullivan family in both 1969 and 1999 – two incidents that cut back and forth within one sequence. I understood the killer’s attempt to commit murder in 1969. After all, he probably wanted to get even with Frank for exposing him as a serial killer, by murdering Julia. That episode ended with Frank blowing away Shephard’s hand with a shotgun before the latter escaped. But he came back to the Sullivan house, thirty years later to kill John. That simply did not make any sense to me . . . and it almost ruined the sequence for me. Not even Gregory Hoblit’s first-class direction or the competent editing of David Rosenbloom could elevate the scene. When Hoblit took on the job as director of ”FREQUENCY”, he had difficulty in casting the two leads. Sylvester Stallone was originally considered for the role of Frank Sullivan. But Stallone pulled out over a dispute regarding his paycheck. In the end, Dennis Quaid won the role. And he turned out to be the perfect Frank – the boisterous and charming firefighter who loved his family and baseball. He managed to create a strong chemistry with the talented and surprisingly dark-haired Elizabeth Mitchell, who gave a charming performance as his wife, Julia. And despite the fact that both actors came from Texas (although Mitchell was born in Los Angeles), Quaid and Mitchell managed to create a convincing Queens accent. Well . . . almost. 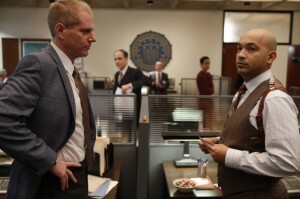 Andre Braugher gave solid support as Satch, Frank’s close friend and John’s mentor. He also had a delicious moment on screen when he discovered that Frank had been telling the truth about communicating with John through time. Screenwriter Toby Emmerich gave a funny performance as John’s best friend, Gordo Hersch. I also have to give kudos to Shawn Doyle for portraying a convincingly scary killer without any signs of acting histrionics. And of course, there is James Cavielzel, who did an excellent job of portraying Frank and Julia’s brooding and slightly obsessive adult son, John Sullivan. And although Cavielzel comes from the Pacific Northwest, his Queens accent turned out to be slightly better than Quaid and Mitchell’s. Hoblit managed to gather quite a cast and he did an excellent job with them. Despite my misgivings over the film’s climatic action sequence featuring Shephard’s two attacks upon the Sullivan family, I must admit that I enjoyed ”FREQUENCY” very much. Screenwriter Toby Emmerich created a first-class and original screenplay. And director Gregory Hoblit did an excellent job of conveying Emmerich’s story with a group of talented actors led by Dennis Quaid and James Cavielzel, and a competent crew that included film editor David Rosenbloom. Not only is”FREQUENCY” is a compelling science-fiction story about time travel and the consequences; it is also a suspenseful thriller and heartwarming family drama. I highly recommend it.